​"Indeed, under the law almost everything is purified with blood, and without the shedding of blood there is no forgiveness of sins." ​Becoming a true believer during my college days allowed for me to enter into a relationship with Jesus at a time when Contemporary Christian Music was popular. 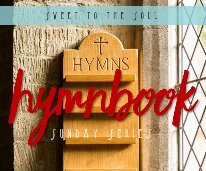 During the Sunday morning worship services, the music played by the worship team, sung along to by the congregation and used for worshipping our Savior was upbeat and much different than the old church hymns that use to fill Sunday morning church services. After the band played the song, Dex explained to the crowd that without the shedding of blood, there is no remission for sin. He went on to explain that the blood of Jesus was the only thing that could make us whole and wipe us clean. From that day on, and based on their performance alone, I will never forget the old hymn. ​Would you sing along with me? ​Being a new believer and not growing up in the church, I didn’t know that “Nothing But The Blood” was a hymn written during the 1800s. I thought that it was a brand new song just introduced on the contemporary worship seen. Singing the song over and over again caused me to go and do a little research and find out a lot about the old hymn. “Nothing But The Blood,” (written by Robert Lowry and published in 1876) was originally written with six stanzas, but most of the time it is sung in a shorter version of four stanzas each followed by the oh so popular refrain of Nothing But The Blood. The shorter version keeps the hymn from an overt expression and repetition, all while causing the hymn to leave the listener fully engaged in the act of worshipping the Savior. Themes of atonement, cleansing, pardon and righteousness fill the old hymn. 1 John 1:7 says, “But if we walk in the light, as He is in the light, we have fellowship with one another, and the blood of Jesus, His Son cleanses us from all sin." Who doesn’t want to be made whole again or be washed clean as white snow? The hymn written in a call-response pattern sounds like cheerleading. When sung aloud, it leaves those listening encouraged by the fact that Jesus’ sacrifice paid it all and now all is okay with the believer. Although the hymn has older roots, it is still widely sung and performed weekly in churches across America and abroad. Altogether Separate or ATS separated as a band after two albums in 2003. Andrew Shirley from ATS went on to become a member of the popular Christian Band Switchfoot. Songs performed by Altogether Separate can still be seen and heard on Youtube. Thankful today for the gift of music, old church hymn or Contemporary Christian Song, nevertheless, both are used for worshipping our Savior. What Can Wash Away Our Sin? 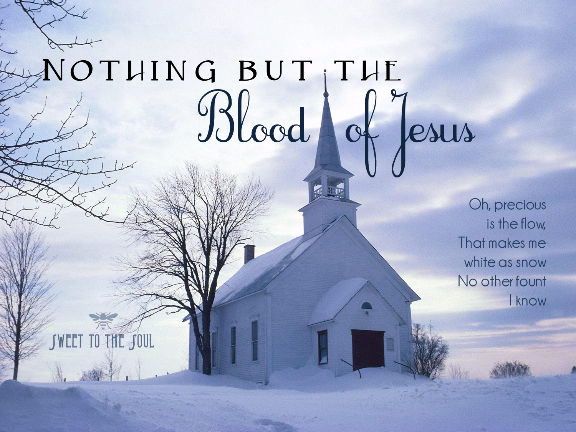 Nothing But The Blood Of Jesus! Oh! Precious is the flow, that makes us white as snow. Great song! Thanks for sharing your personal experience! I love knowing the backstory for songs!